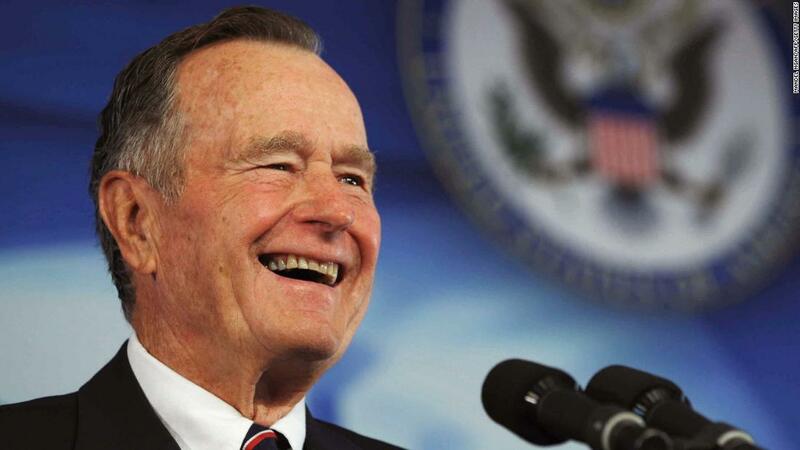 Former President George H. W. Bush was a man who believed in duty to his country. He may have not always stood on the right side of history, but he always stood for on the right side of America. Mr. Bush had his eyes on the Oval Office longer before he got there. When President Gerald R. Ford asked him to lead the CIA in 1975 Bush accepted the position out of a sense of duty. He went on to become known as the agency’s best director and did much to raise morale at a time when it was sorely needed. When he ran against Ronald Reagan for the Republican nomination for president and lost, he graciously accepted a post as vice president to help keep from dividing the party. Reagan and Bush went on to win the next two elections by a landslides, and finally it was his turn for a chance at the Oval Office. In a letter to the NRA Bush wrote that LaPierre’s comments were out of line. The NRA declined to endorse Bush in his re-election campaign, but he knew that was coming and stood up to them anyway. In a more recent visit to President Bush, President Clinton gets a laugh out of the socks Bush wore for the visit. The socks pictured Clinton on them. President George H. W. Bush lived a long a full life. He made more friends than enemies. May he rest in peace.